Our Wine Clubs consist of four allocations of three bottles per year from multiple wineries across the state. All wine club allocations must be picked up at Arizona Wine Collective. Sorry, shipping is not available. All of the wineries we feature also offer great wine clubs of their own. If you find a favorite wine/winery through us, we strongly recommend you join their wine club as well, so you can receive even more of what you love. We invite you to join our Red Arizona Wine Collective Wine Club, or to give a club membership as a special gift to another wine lover in your life. Being a Arizona Wine Club member helps you keep our state's wonderful wines in your cellar, and gives you the opportunity to attend fun club release parties, access to club member-only specials and discounts, as well as special events throughout the year. Average cost per allocation will be approximately $90 plus tax. We invite you to join our Mixed Arizona Wine Collective Wine Club, or to give a club membership as a special gift to another wine lover in your life. The Mixed Wine Club will include red, white and/or rose. Being a Arizona Wine Club helps you keep our state's wonderful wines in your cellar, and gives you the opportunity to attend fun club release parties, access to club member-only specials and discounts, as well as special events throughout the year. Average cost per allocation will be approximately $80 plus tax. A: Your credit card will be charged on the date of each quarterly release of the wine club allocations (i.e., March 1, June 1, September 1, December 1). Q: Can you ship my wine club allocation? A: No. 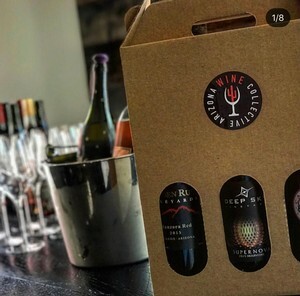 All quarterly wine club allocation are only available for pick up at Arizona Wine Collective. You will receive a free wine tasting each quarter when you pick up your wine. Q: Which wineries and wines are included in wine club? A: Wines and wineries will vary with each allocation. Part of the fun of this club is the chance to try new, different and wonderful wines from all over the state. A: Sorry, you can not make any substitutions of wines included in a wine club allocation. Q: Is there a membership fee to be a wine club member? A: Our wine club is FREE to join. Your only cost is for the wines (at a 10% discount) included in each wine club allocation. We require a minimum of one-year (four allocations) commitment with your membership.